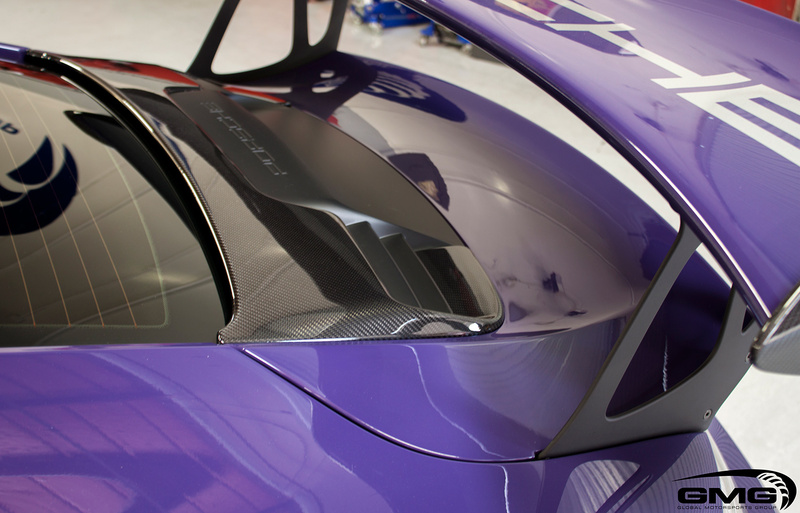 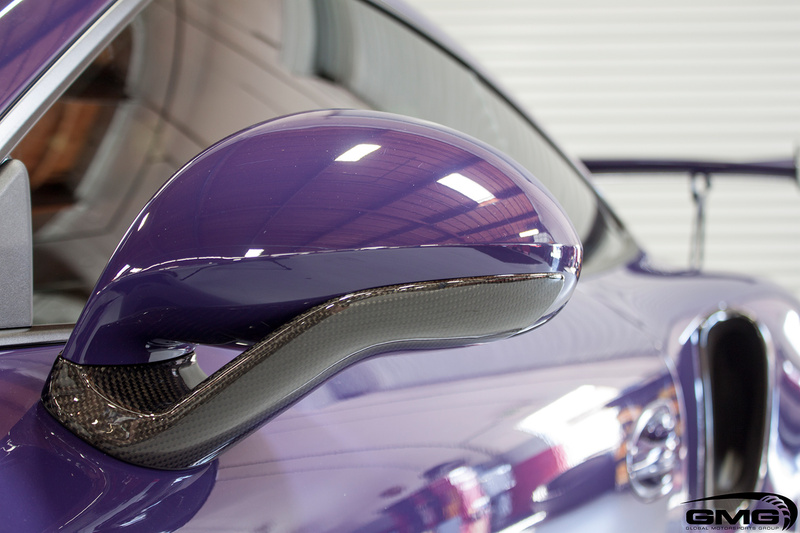 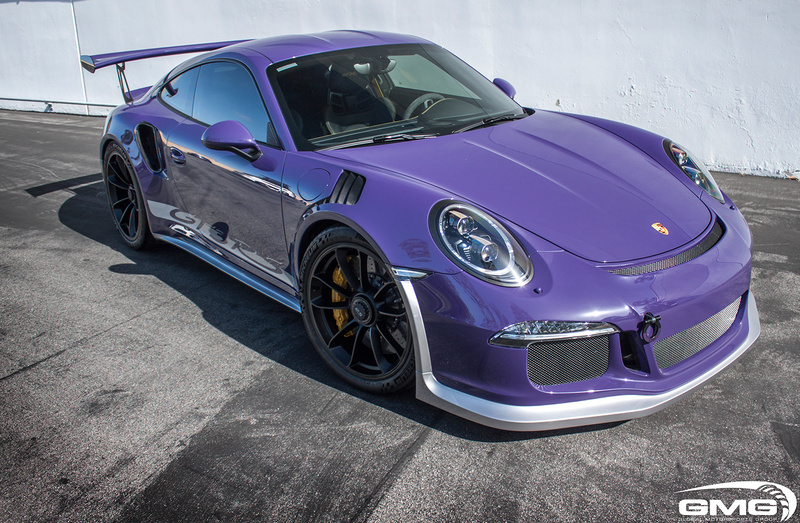 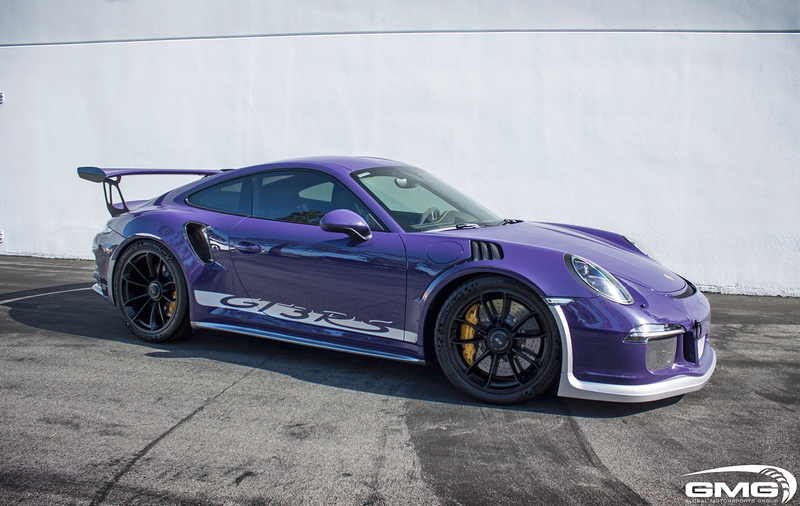 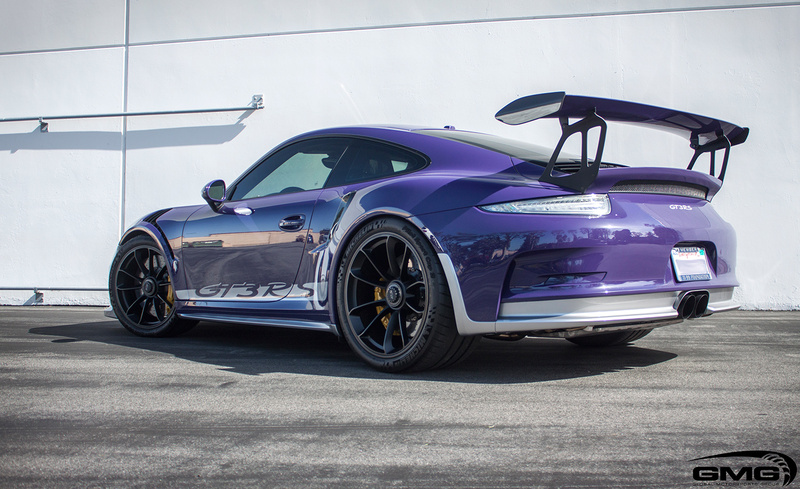 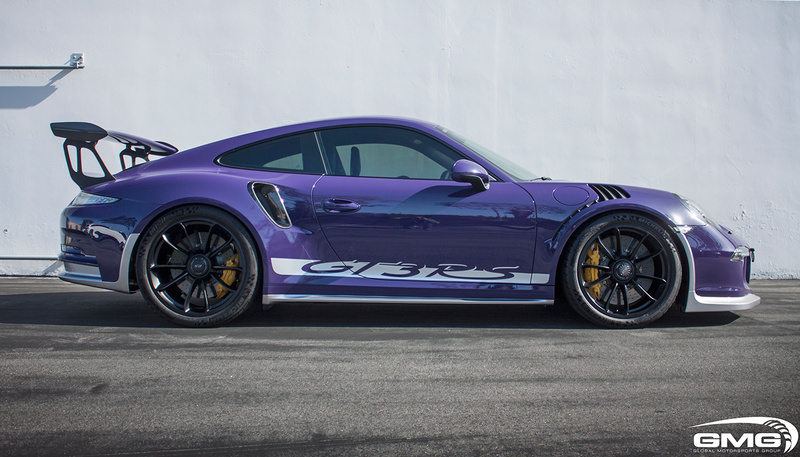 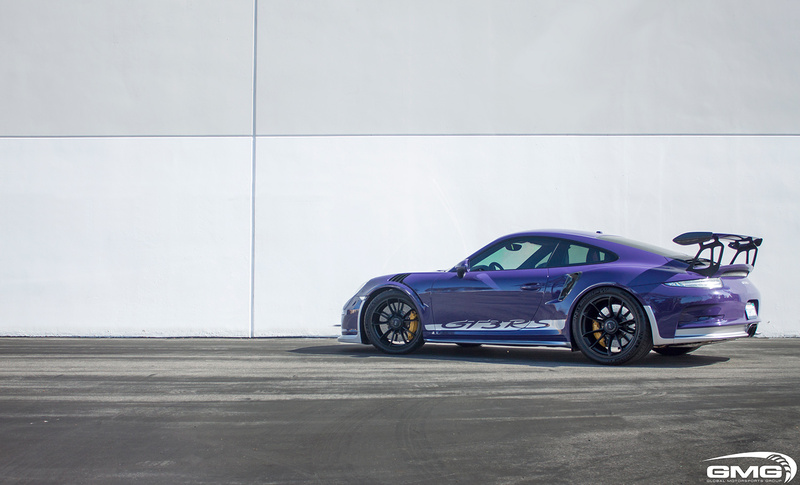 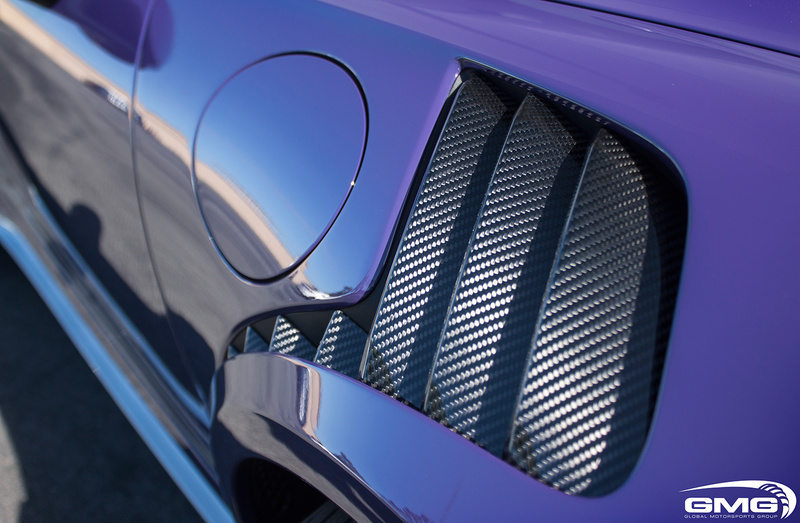 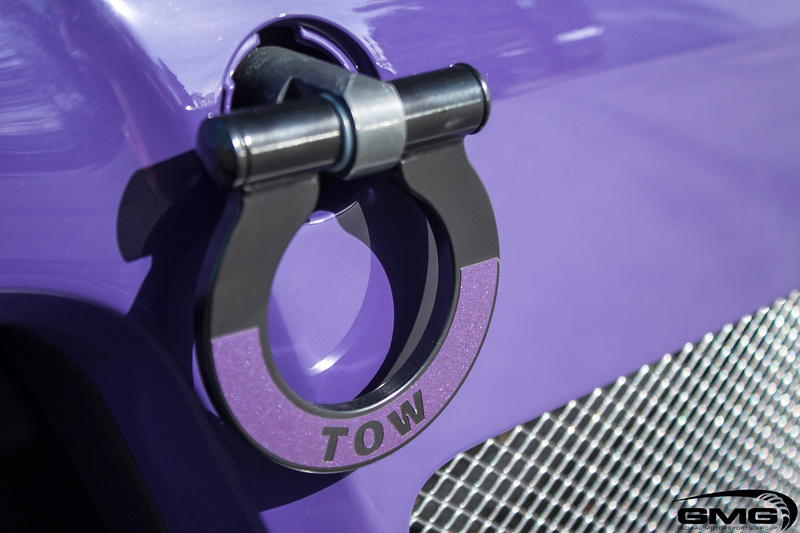 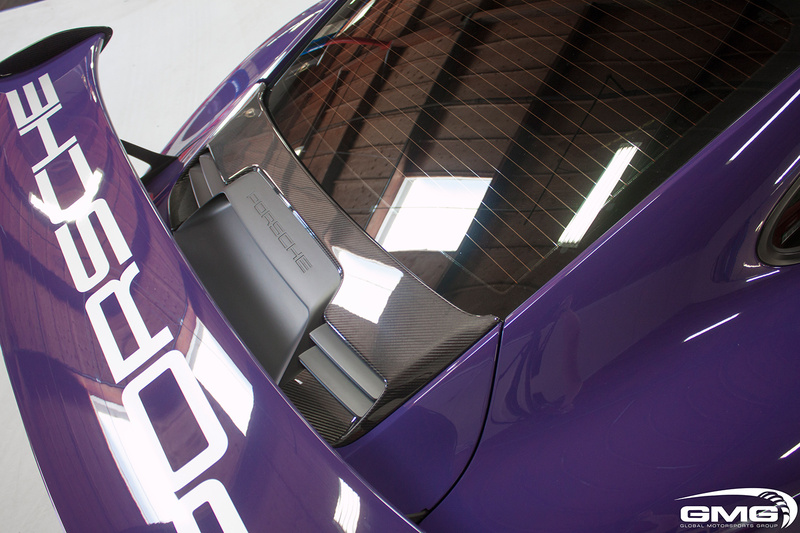 This beautiful Ultra-Violet GT3RS underwent a number of aesthetic and performance enhancements. 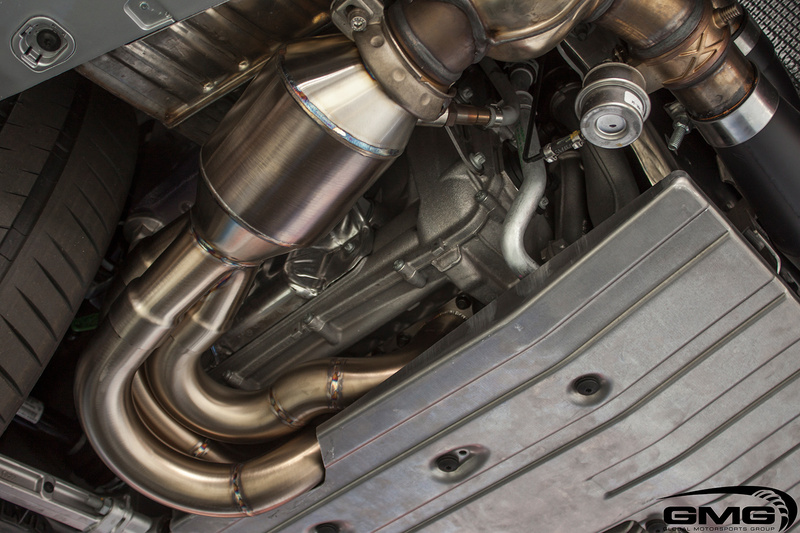 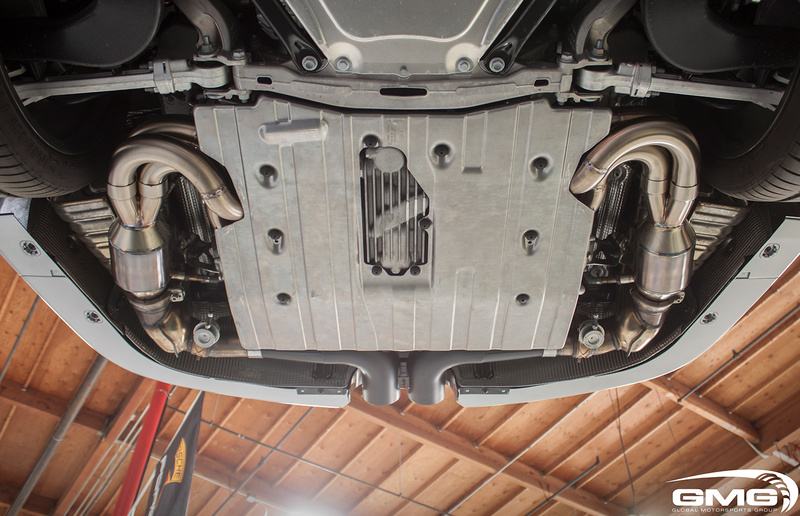 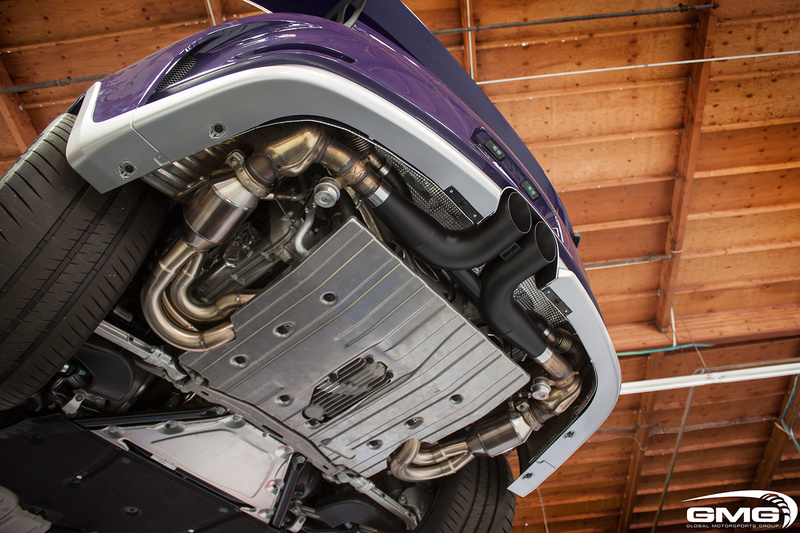 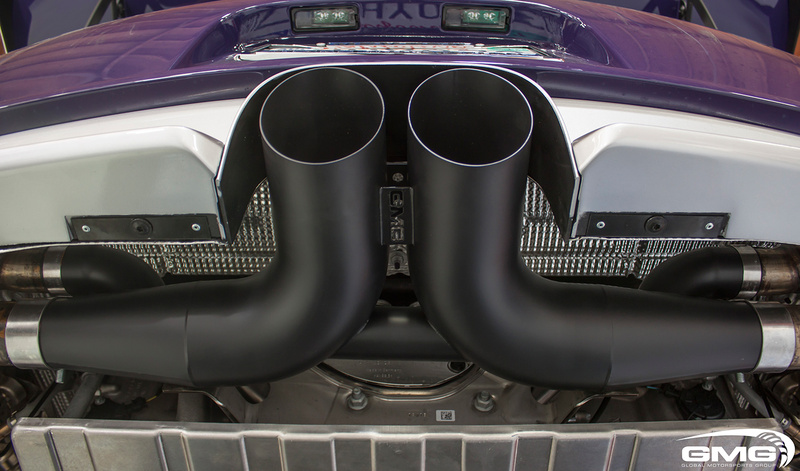 On the performance side the car received our GMG WC-Sport Headers and GMG WC Center Section. 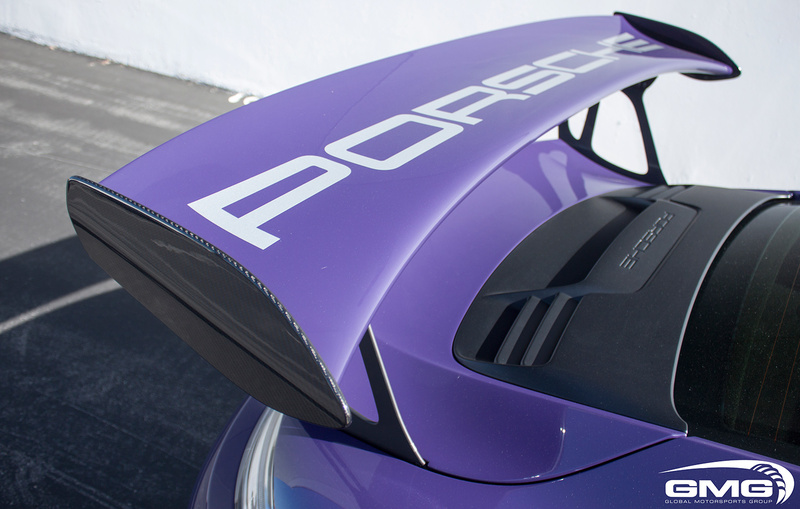 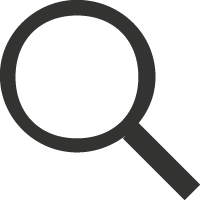 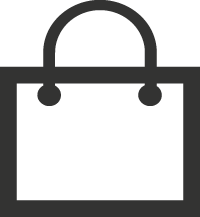 For the exterior we added select features to enhance the aggressive body-lines. 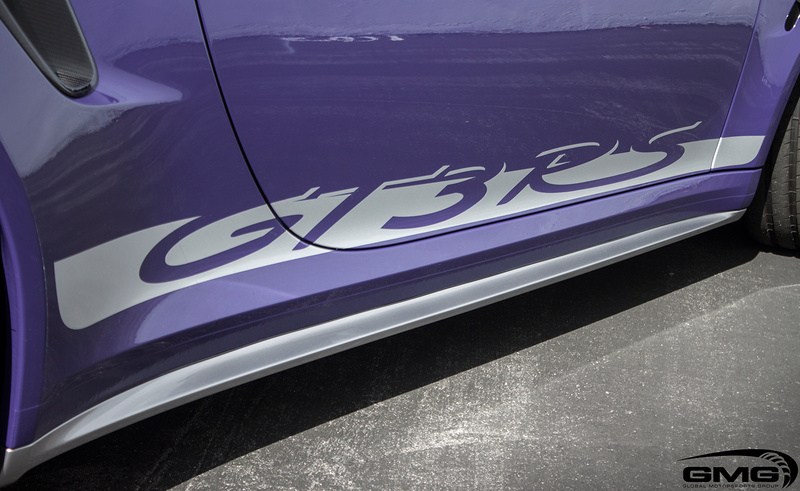 Exterior: GMG - Custom Vinyl Sticker Package. 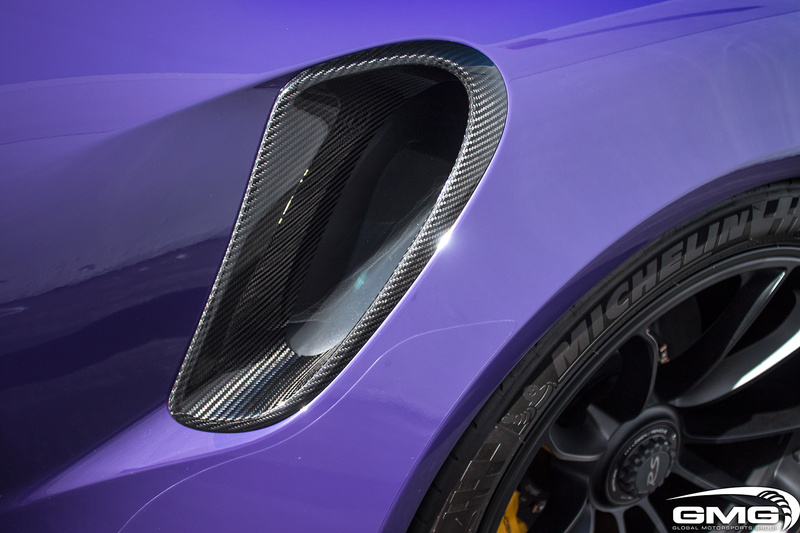 TechArt - Carbon Fiber Fender Vents, Carbon Fiber Air Intakes, Carbon Fiber Wing Ends, Carbon Fiber Rear Hatch Cover, Carbon Fiber Side Mirror Accents.